With three new hires in the second half of 2018 BNP Paribas Global Markets in Zurich is boosting its operations. She is responsible for distributing the THEAM Quant funds across Switzerland. After graduating from HSG St Gallen Andrea worked for various European and US investment banks in Zurich, London and Hong Kong as derivatives sales in equities, credit & rates and FX. 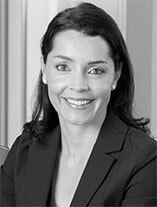 She joined BNP Paribas in 2009 and has spent the last seven years in Hong Kong covering institutional clients for equity derivatives. 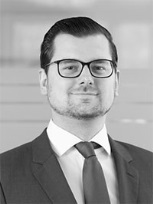 He is responsible for the Independent Asset Managers and distribution business in the German speaking part of Switzerland. He holds a M.A. from the University of St. Gallen (HSG) and prior to his recent appointment at BNP Paribas, he had worked since 2011 for Société Générale Corporate and Investment Banking in various positions. In his last role, he was a Structured Products Sales Specialist within the Cross-Asset Solutions team in Zurich. He is responsible for cross asset solutions, derivatives and THEAM fund distribution for institutional Clients across Switzerland, including Pension Funds, Insurance Companies, Asset Managers, Discretionary Portfolio Managers and Family Offices. Pascal is based in Zurich, Switzerland while his team is located in Paris and Zurich. Prior to joining BNP Paribas, Pascal was heading the Swiss solutions and equity derivatives business at Bank of America Merrill Lynch as well as the Pension and Insurance Solutions business for Switzerland at Goldman Sachs International in London. Pascal holds a degree from the University of St Gallen, Switzerland.